Sports betting can easily be defined as one of the most widely-spread forms of gambling. In general terms, sports betting is placing a wager, commonly referred to as a bet, on the outcome of a particular sports event. It dates back hundreds of years ago, although it is difficult to trace back exactly where and when it all started. It’s safe to say people have been wagering on the results of sports events ever since the latter came to be recognized as such. Some suggest bets were placed for the first time in Ancient Greece, while others insist there is evidence of similar betting activities even before that. Either way, the origins of sports betting are irrelevant, especially at this point. Today, sports betting has achieved the status of a favourite pastime of millions of sports fans around the world. It generates mind-boggling revenues. With the advent of online bookmakers, it’s easier than ever to place a bet on your favourite sport without having to leave your home. In the last two decades, many established brick and mortar bookmakers went online, so there are plenty of specialized betting websites to choose from. Bets can be placed on all kinds of sports ranging from popular options like football and basketball to horse or greyhounds racings. However, some jurisdictions have outlawed such activities, deeming them illegal. But in most countries sports betting is considered a legitimate form of gambling, licensed and regulated by special commissions. Basically, the idea here is to stake your money and eventually generate some additional profit by making a correct guess in regard to a sports match result. In the event of making a correct prediction, you win. If your prediction is incorrect, you lose the sum you’ve put on a stake. But this is only the shorter answer to the question “What is sports betting?”. There are plenty of other things one needs to take into consideration. Read on for more detailed information. The bookmaker, also known as “a betting agency” or “sportsbook” is a company or a person that provides the sports betting services at odds, agreed upon in advance. To put it simply, the bookmaker is where punters go to make their predictions and place their wagers on a particular sports event. Most bookmakers concentrate their attention on professional sports, such as horse racing and football for example. The bookmakers are also the ones who offer the odds for sports events. Their profits are predominantly generated not by the odds but by the markets, they’ve put on offer. Some of the most popular markets include Winner (you can bet on who the winner will be – the away or the home team), First Goal Scorer, Half-Time Result and Correct Score, among many others. In addition, punters can attempt to make several correct predictions and place bets on several selections. Such multiple selections are known as Accumulators or Parleys and may result in greater profits for the punter, provided that all predictions are correct. The bookmakers, too, aim at generating profits, that is only natural. As determining who the game’s winner will be is out their control, the bookmakers could lose a substantial amount of money in case many punters manage to make a correct prediction. 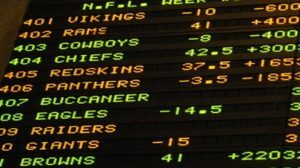 To reduce their losses to a minimum, the bookmakers run their books in a specific method to ensure they will generate profits regardless of the games’ outcome. This is the reason why the bookies set the odds in such a way that enables them to collect commissions on all placed wagers. By creating a “balanced book” the bookmakers are enabled to pay out roughly the same amount, regardless of the events’ results. Nowadays, placing a bet on your favourite team or sportsman is exceptionally easy and quick. As was previously mentioned, many respected land-based bookmakers went online and now bets can be placed at their websites. Basically, all that’s required is to register with an account. With the advance of mobile technologies, bets can be placed on the go, via smartphones and tablets. What further adds to the convenience is the fact that many online bookmakers offer detailed explanations of terms and even provide punters with helpful tips. In fact, online betting comes with a number of other advantages too. Most sports betting websites are easy to use, not to mention punters’ personal and financial details are heavily encrypted. So there’s no need to worry in regard to security. Registered punters are also able to benefit from a number of promotional offers and bonuses, designed to increase their chances of winning. Most reputable online bookmakers are rather generous in this respect. Those, who bet regularly are awarded free bets and enjoy a number of special promotions. The vast range of betting options, available online is yet another advantage. Established online bookmakers cover all major sports leagues, including but not limited to NFL, the European football Champions League, NBA, NHL, ATP, WTA, MLB and many others. Bets can be placed on individual sports like boxing, snooker, pool, darts and Formula 1 races. One of the most popular and profitable options is placing bets on games in progress, thanks to the In-Play feature online bookmakers offer. You will be able to watch as the game unfolds – therefore, your chances of making a correct prediction increase. But these are by no means the only options punters can choose from. Those who wish to bet on racings can always do so online. Most web-based bookmakers cover a large number of races, some even provide live streams, directly from the events. And finally, in many cases web-based betting providers offer very competitive odds, and all seasoned punters know what this means. The better the odds, the bigger your returns will be. What’s more, one can register at several web bookmakers and compare the odds they offer. Allow us to proceed with a more detailed explanation of this popular betting term. To put it shortly, bets are multiplied with the amount of money you place as a bet in order to calculate what profits you will generate in case you’ve made a correct prediction. As you can probably see for yourself, bets are closely linked to your probability of winning. Odds also determine whether or not a wager has a good value. Many punters and bookmakers refer to odds as “being the “price” of the wager”. Each wager can have one of three types of odds – Odds On, Odds Against, and Even Odds. The first type, Odds On, indicates that the amount of money you can possibly win will be less than the amount you have wagered. The second type, Odds Against, shows that your overall profits will be greater than your stake’s amount. You’ve probably guessed what the Even Odds stand for, namely, your winning bet’s returns will be equal to the size of the said bet (which generally means you won’t win anything, but you won’t lose either). Keep in mind, the greater the odds are, the higher your chances of winning. But if the odds are high, this also means winning bets will earn you smaller profits. Therefore, lower odds mean it’s much harder to win but if you manage to do so, you will generate greater profits with your winning bet. It’s also worth mentioning there are three formats, used to express the odds. The most commonly spread one is the Decimal format, where a point or a dot is used to separate the whole number part from the fractional part, like this 2.00, 1.50, etc. This odds format is exceptionally easy to use and has quickly became the standard. Then again, there is the Fractional format, commonly used in the UK. As the name suggests, a fractional line is used. For instance, odds expressed in fractional format look like this 1/1, 4/6, 7/4 and so on. Meanwhile, in the United States bookmakers typically use the American format, also known as Moneyline. Moneyline odds can be either positive or negative, for example, +200 or -150. Now let us proceed by explaining the most common types of bets. As there are way too many of those, we’ll focus on the most commonly placed bets – straight and win bets, parleys, futures and in-play bets. But these are only some of the options, punters can choose from. The Win Bet is probably the most straightforward type of bet ever. In this case, punters place their wagers on who they think might win the game and the odds depend on the approximate chances of their favourite winning. Placing straight bets (known as Handicaps in the UK) is especially popular among fans of American football. It sort of resembles the Win Bet, but not entirely. You are supposed to choose which team will win in your opinion, but a Point Spread is created for the purpose of making the two teams equal favourites. You can either back up the favourite to win or go for the underdog. The parleys, on the other hand, consist of two or more selections. A parley, consisting of two selections is known as a “Double”, while one with three picks is called “treble”. In many cases, punters pick up to 14 selections, sometimes even more. The odds are adjusted in accordance with the number of picks, punters have grouped together. Parleys are often considered risky and there’s a good reason why – in order to win, you’re supposed to predict correctly all selections the parley consists of. Futures, also known as Outrights, are wagers placed on who you think the winner of a specific tournament, competition or league might be. Such bets are placed before the respective event starts. And finally, the last type of bet is the In-Play bet, which can prove to be very advantageous to punters. In-Play betting, also known as Live Betting, allows for wagers to be placed on events, which are currently in progress. Bets are accepted from the very beginning till the end of the game. Placing bets on sports, both offline and online, is considered legal in most countries throughout the globe. Naturally, if you’re looking for an online betting destination, you should first make sure you bet at a legitimate web-based sports bookmaker. Usually, legit bookmakers stand out with greater transparency and openly display their license numbers, as well as the names of the authorities and commissions which regulate them. Keep in mind different jurisdictions impose different regulatory practices, some are more strict than others and vice versa. This naturally is reflected in the betting operators’ fairness to punters. Many online bookmakers welcome punters from countries where such activities are deemed illegal. 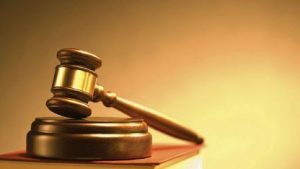 Their argument for doing so is that since they’re based and licensed in jurisdictions where online betting is legal, they are not breaking the law. Yet another important thing to take into consideration – in most countries, even if online sports betting is completely legal, taxes are imposed on punters’ winnings. In countries like Australia, New Zealand, and Sweden sports betting winnings are not taxed. Other jurisdictions, like Germany, impose taxes on wagering profits, but naturally the percentage varies from one country to another. So it might be a good idea to ascertain whether or not taxes are imposed on betting winnings in your country of residence before you proceed to place bets. In conclusion, betting on your favourite sport can be of great entertaining value, not to mention you might end up winning a life-changing amount of money. However, you should not forget that to accumulate profits, you must be familiar with the terminology and understand how odds themselves work. In addition, it’s advisable to get used to switching between the odds formats as different online bookmakers employ different formats. Last but not least, don’t push your luck. If you’ve won a substantial amount of money with your bet, it would be a good idea not to risk losing it all. Proper management of your winnings and bankroll is of crucial importance, at least if you wish to consistently make a profit. And remember, you should gamble responsibly by exercising control over your spendings and betting activity. Don’t underestimate the risks of losing your money as such possibility always exists – even seasoned punters place a losing bet every once in a while. Placing bets on your favourite team should be fun and must not intervene with your daily or professional life and activities.